Next on The Scoop: The Finicky Cat: Did You Say “Treat Time?” ME-NOW! 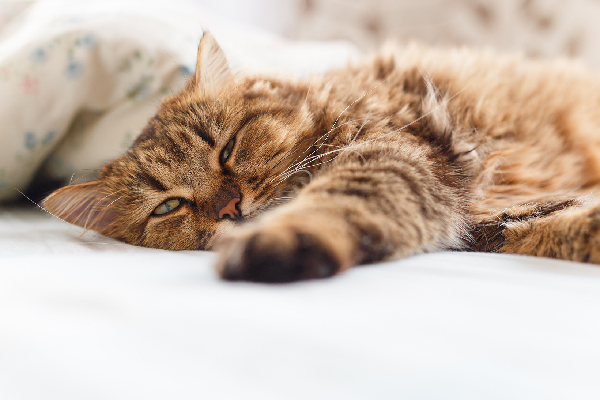 The age of the internet has proved to be a time of renaissance for cat lovers. Videos, memes, and podcasts bring cat fans together in a way that wasn’t possible before. 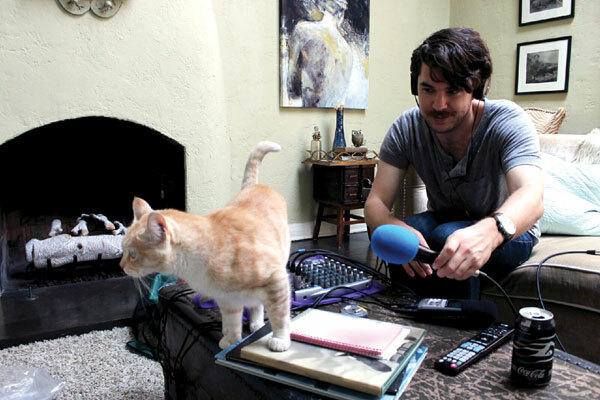 Leading the podcast charge are two cat owners and college friends, Steven Ray Morris and Sara Iyer, whose Los Angeles-based Purrrcast show covers many topics a cat lover would want to know. “It wasn’t until I discovered podcasts and the massive podcasting community in LA around 2011 to 2012 that the idea began to percolate,” Steven said. Since then, the idea has turned into a show. Steven and Sara share stories about their own cats (Steven’s Penny Lane, and Sara’s Samba) and discuss anything and everything cat. They also invite guests. 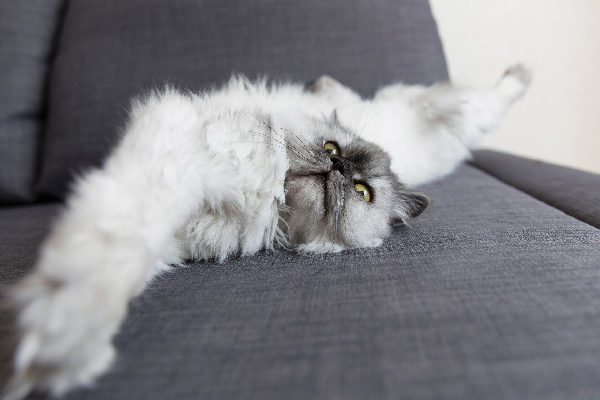 “We’ve had on artists, comedians, writers, musicians, and even people who have famous Instagram cats,” Sara said. 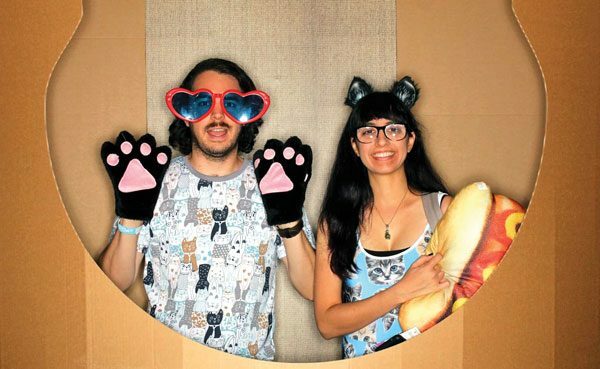 Steven and Sara had this photo shot at CatCon in 2016. 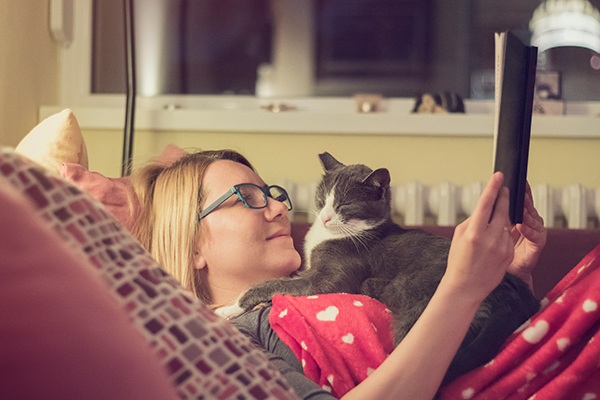 Listeners have noticed that the podcast explores and celebrates that special bond between cats and their people. Sara said the feedback has been positive. 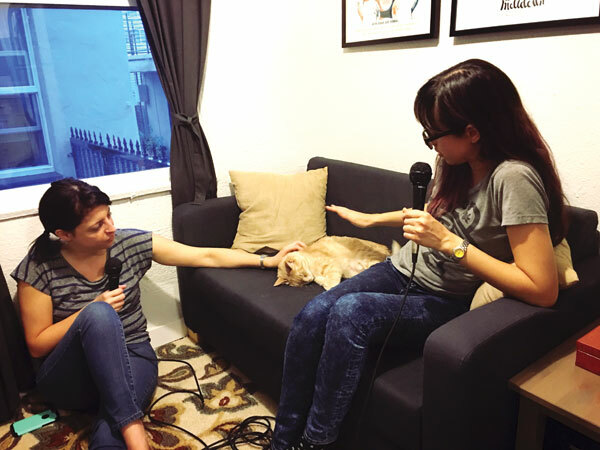 Sara talks to guest Georgia Hardstark of the My Favorite Murder podcast and Steven’s cat, Penny Lane. 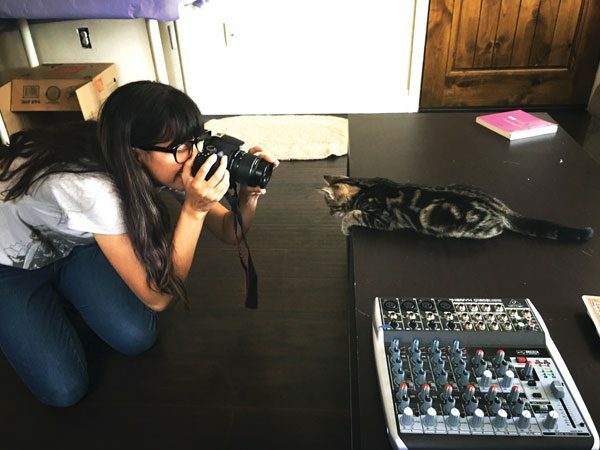 Sara takes a photo of Emily McWilliams’s cat, Riley. 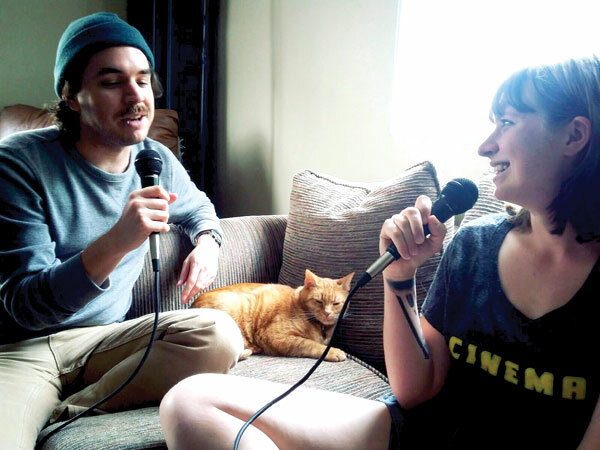 Co-host Steven talks to guest Megan Baker of The Vintage blog and her cat, SJ. 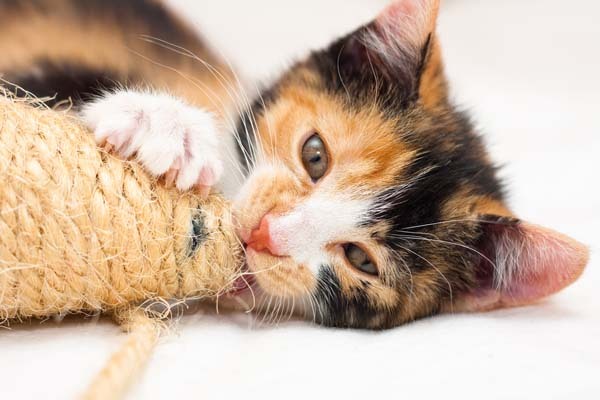 Follow the Purrrcast on Facebook, Twitter and Instagram. About the author: Elisa Jordan is a Southern California freelance writer specializing in pets. She has a terrier, Gidget, and a cat, Izzy.